I finally got to working on the last 2 zucchinis from last week’s harvest. 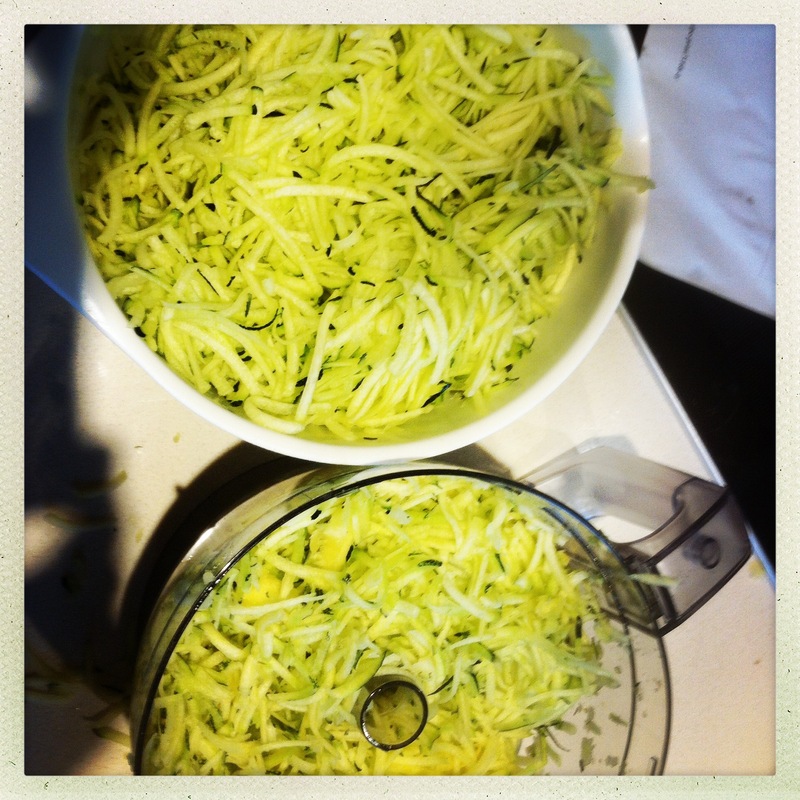 They didn’t look like much, but once I’d shredded them, it was quite a lot more than the 4 cups I needed for the recipe I wanted to try, the zucchini bread from aMusingfoodie. So I gave it a try with half the shredded zucchini. It still made a huge batch, and I added a lot more that the recipe says, yet worked out great. 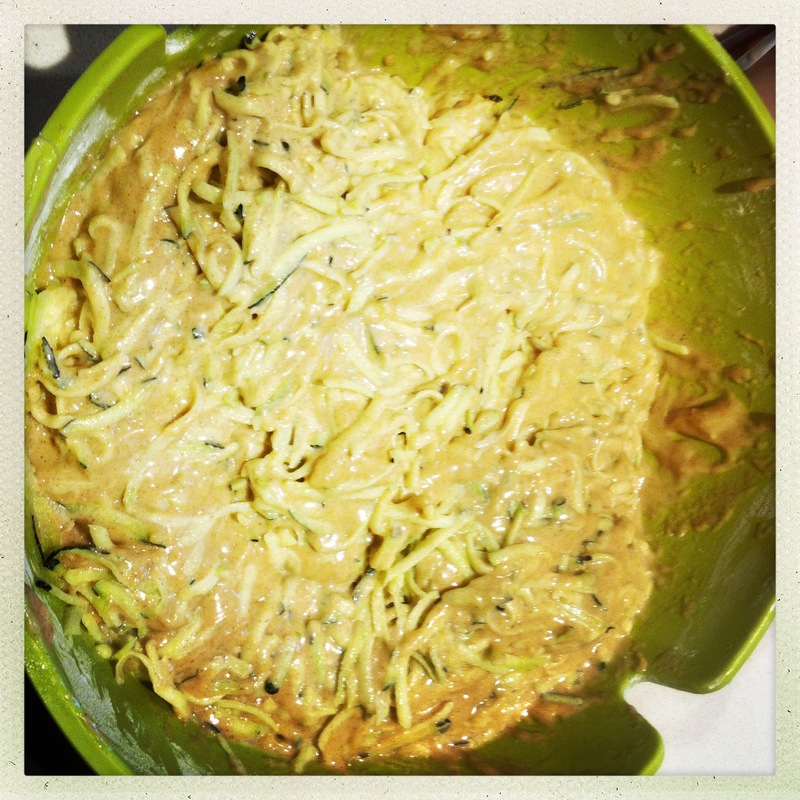 Then, as I still had a huge bowl left of zucchini, I tried another batch, with less sugar, and adding more spices such as cardamom and nutmeg. It was a bit too wet, compared to the first recipe, but I guess by adding more flour it would be ok. Unfortunately there’s no picture here of the result, but I promise you, it was great… I am convinced I made pictures and that my phone swallowed them up. Maybe it was the late night baking session that made me imagine things, I don’t know! Now…. see…. there’s more of them coming… help!! 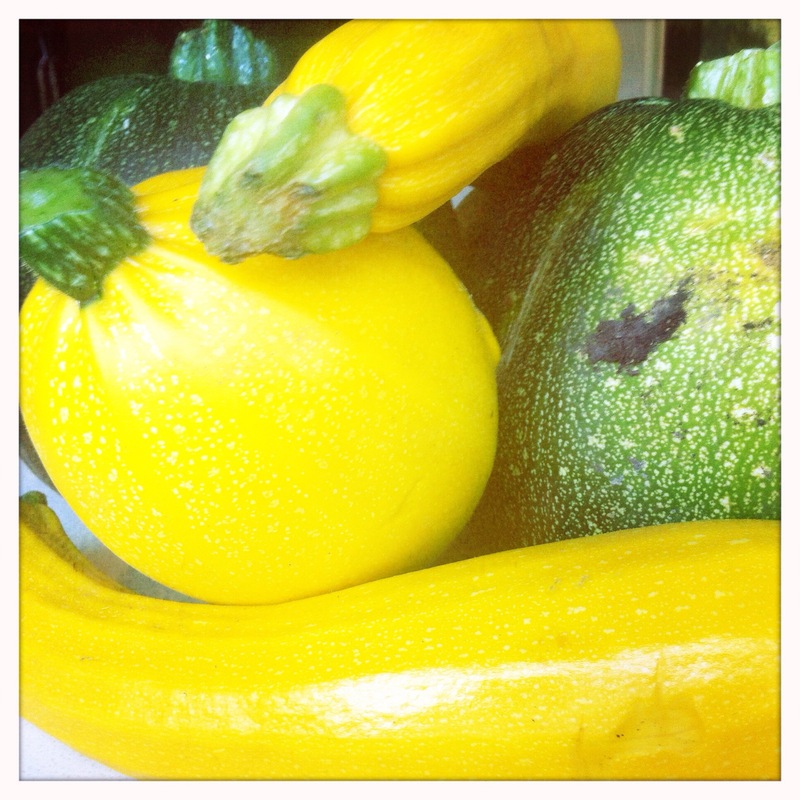 Earlier this week I posted about my zucchini management problem and the recipes I wanted to try out at home. Well, hooray, the first test has been quite good! 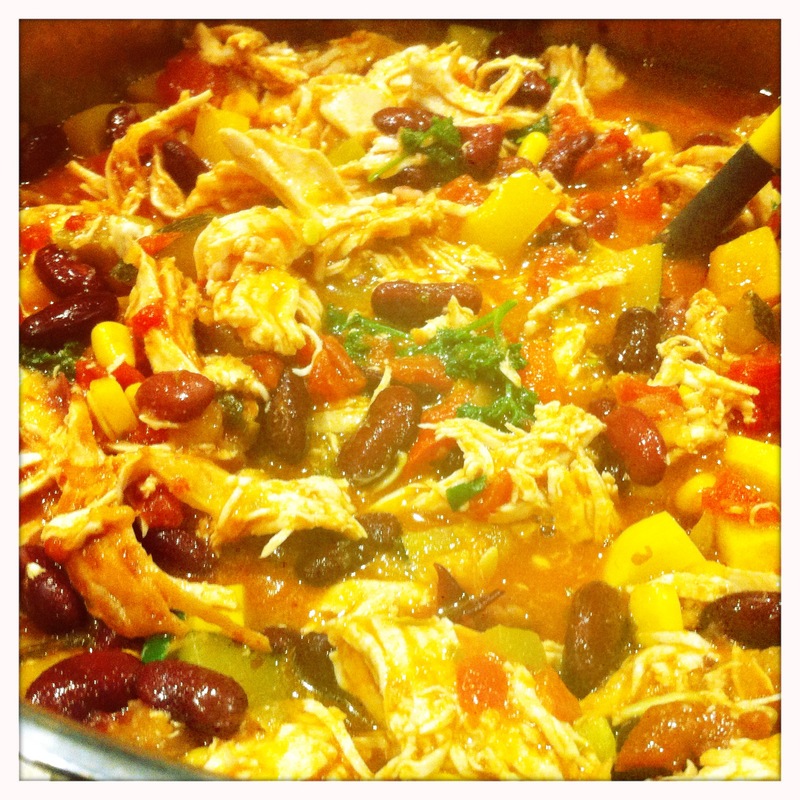 I tried out the Chicken Chili and it turned out great! The best part being that I could actually use a lot of other vegetables from the garden that I hadn’t had any plans for. Such as this chili. I think it’s supposed to turn red at one moment. But honestly, I don’t have a clue, as there’s one red and one green one hanging on the plant… As I had no idea anymore what I had planted and how hot it would be, I had to test it beforehand to avoid any comments like “this is tooo spicy. Help! It burns! !” at the table. 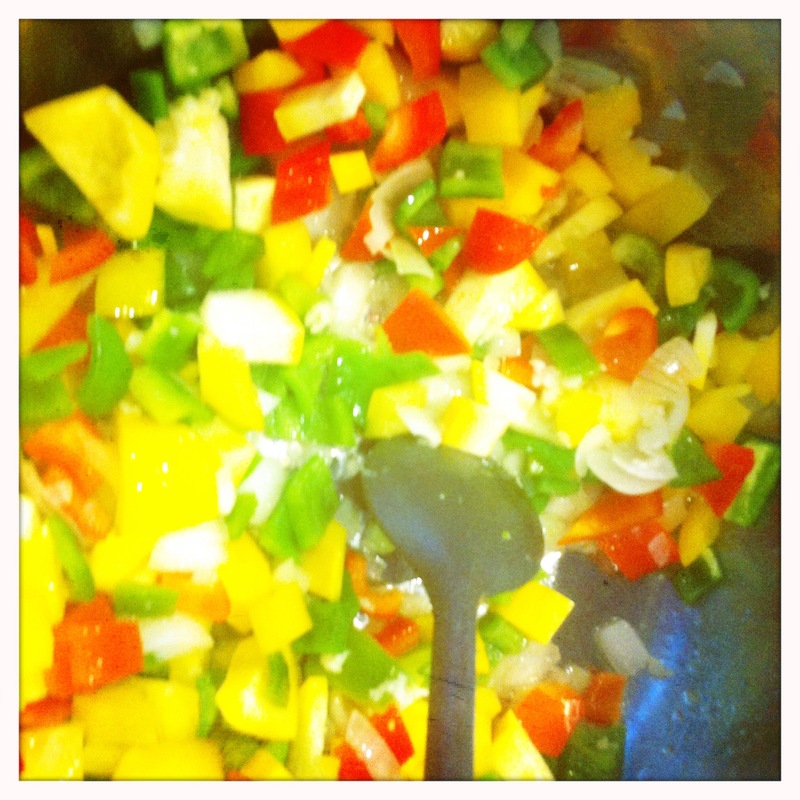 See how the peppers blend in nicely in the pot? Ah yes, and the onions. 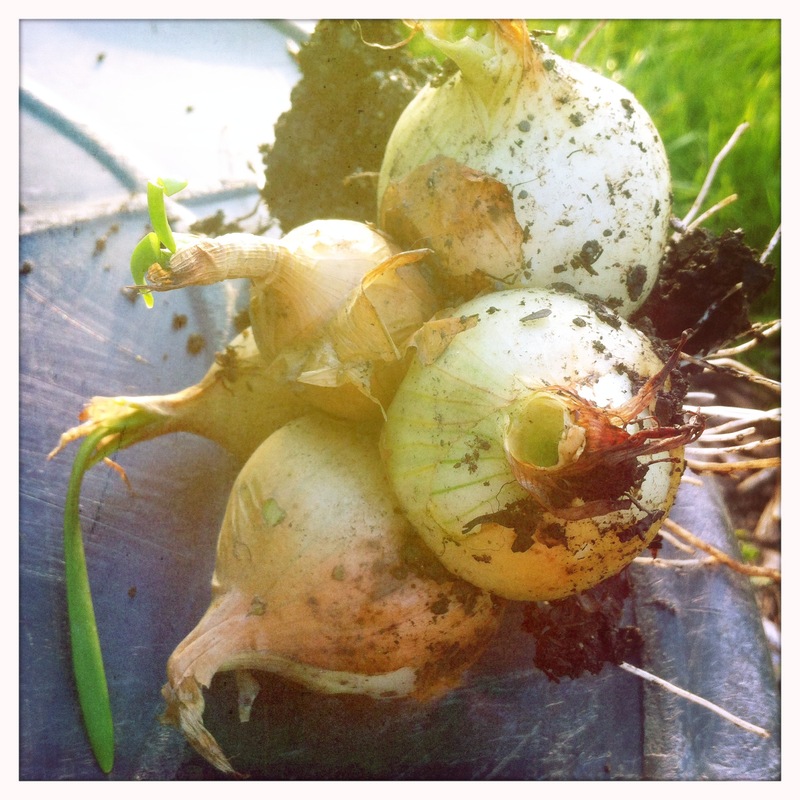 Did you know that this is the way onions grow? Nope, I didn’t either, I just put some onions I had at home and that were starting to sprout into the mud and waited. I had probably seen it by googling or on pinterest. Jeez, the things you learn everyday…. And, tadaaa : this was the result! Yummy right? It even passed my husband’s test, which consists of spooning into the boiling pot and delivering his verdict, usually with the kids around so the “Uh, not really my thing” gets a dynamic on its own and in the end everyone refuses to eat the dinner I’ve been cooking. But, this time, he actually loved it. Ok, so I had tricked him by putting really lots of chicken in it, because he is more the meat-loving kind of person. But he really loved it! And I managed to prepare at least 5 meals for myself for lunch at work and a couple for the whole family, which is a good deal at the end of the day! 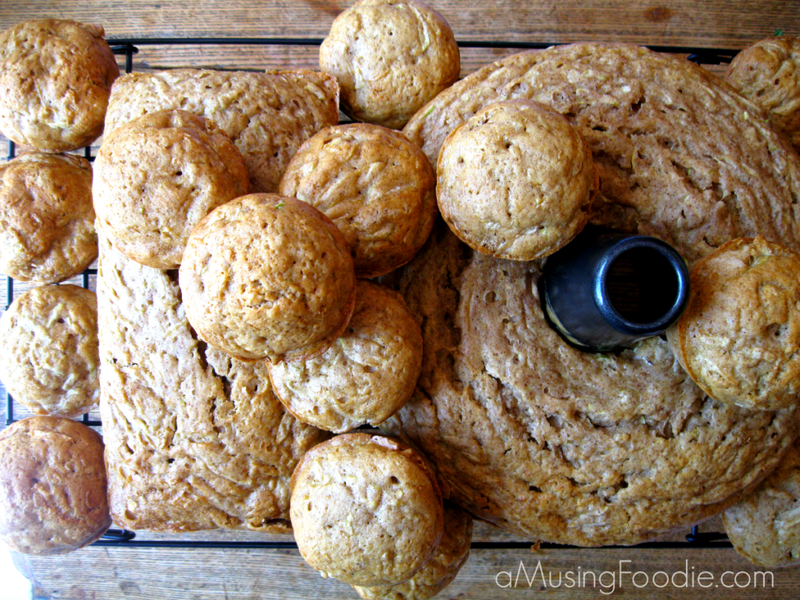 I also did the cornbread muffins, well in just a slightly different shape because I like the “mini-cake” size. And as Lydia mentioned in her post, I find them quite a lot too sweet for my taste as well. But they are really really quick and easy (I did them in between putting one then the other kid to bed), and I’m definitely going to keep the recipe and adjust it by lowering the sugar amount. And the texture is really nice, it doesn’t fall apart and isn’t too moist either. So, to be adjusted and put into the recipe book! 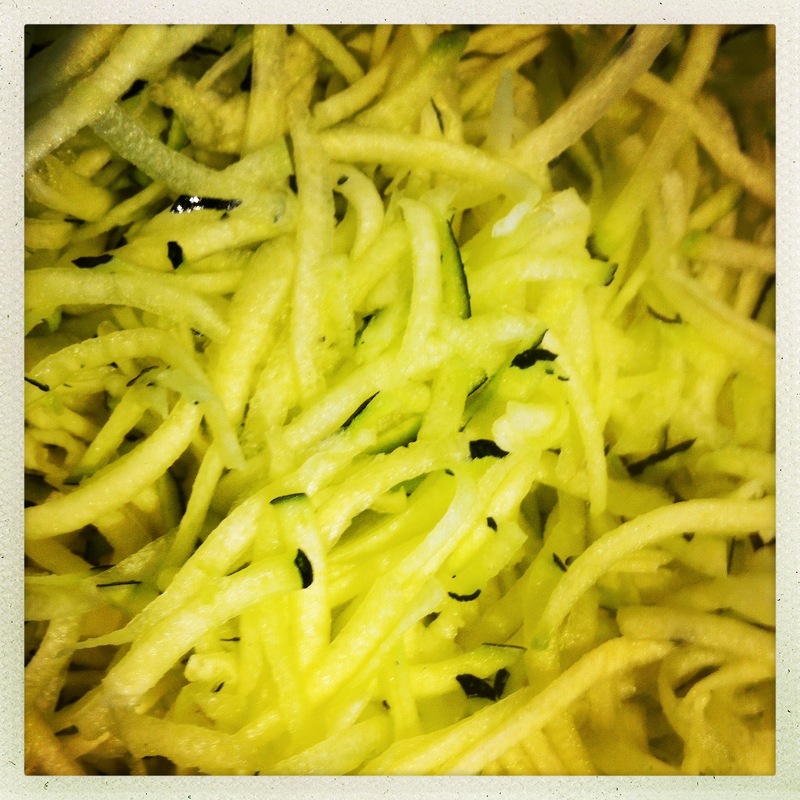 Zucchini oh zucchini… what to do with y’all? 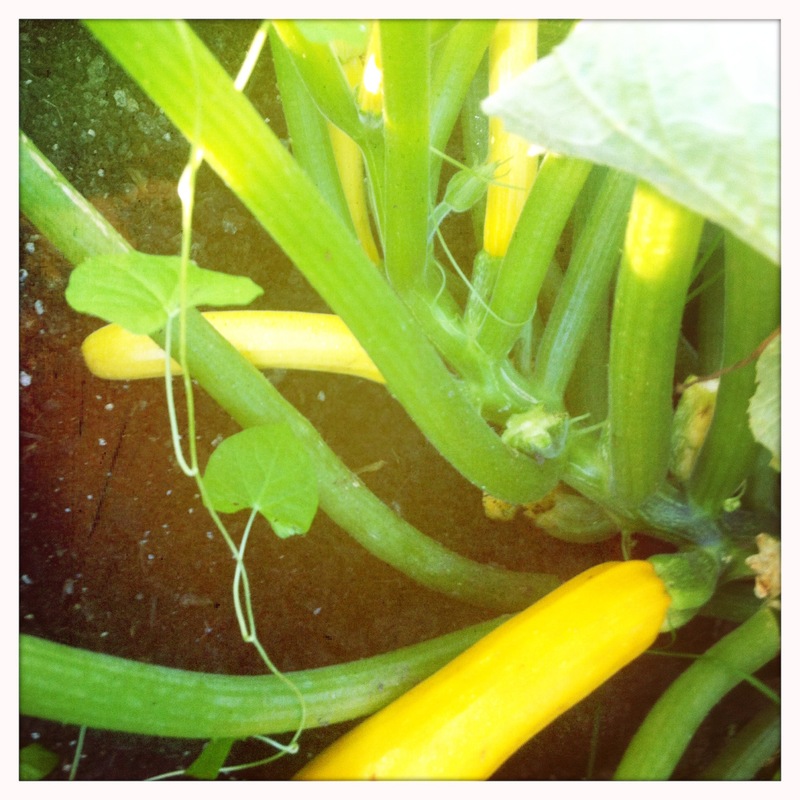 It’s zucchini harvesting time here. Still. It doesn’t stop. 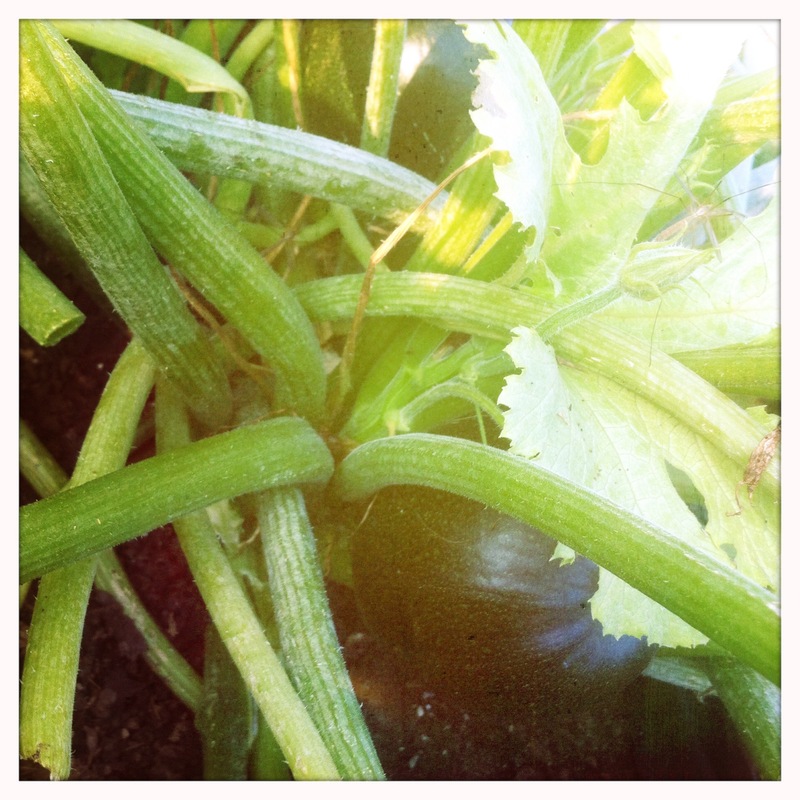 In fact, the zucchinis are the only thing that grows wonderfully well in my garden. It kind of spreads over the whole raised bed taking any space from the cucumbers or salads. I haven’t been able to grow any salad all summer, it just simply gets sucked up by some other plant, or disappears one day when the slugs have stopped by. 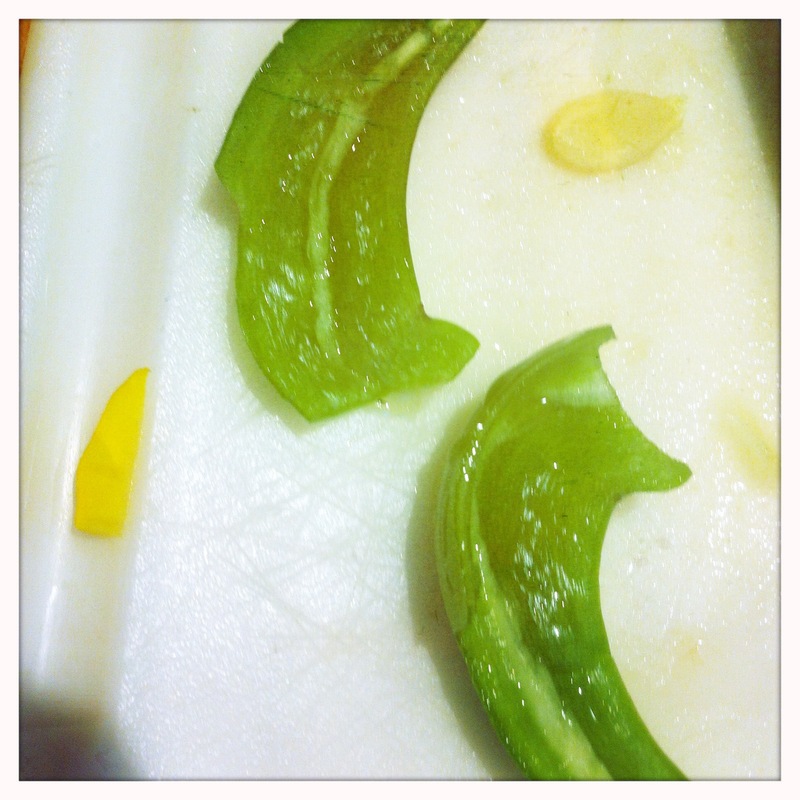 And what the worst thing is : the family doesn’t love zucchinis all that much. I find them great, but have to agree that I’m kind of clueless as to what to make of them. Beginning of the week I started cleaning up the garden a bit, to give more space and air to all of the plants, and had to harvest the zucchinis. I took one plant away (yes, it broke my heart) because it was just too huge, but still got 5 different zucchinis, yellow and green, of all sizes. So, in a huge waft of motivation to stock up the freezer again and get more organized when it gets to lunch hour at work, I thought I’d get it over with and search for some recipes that would be freezer friendly and would be eaten by everybody at home. In short, something where there’s also meat, and where you can’t see the zucchini too much. First I stumbled over this recipe over at Island bakes which looks like it could help me work out some of the green peppers as well, and there’s chicken in it – perfect. 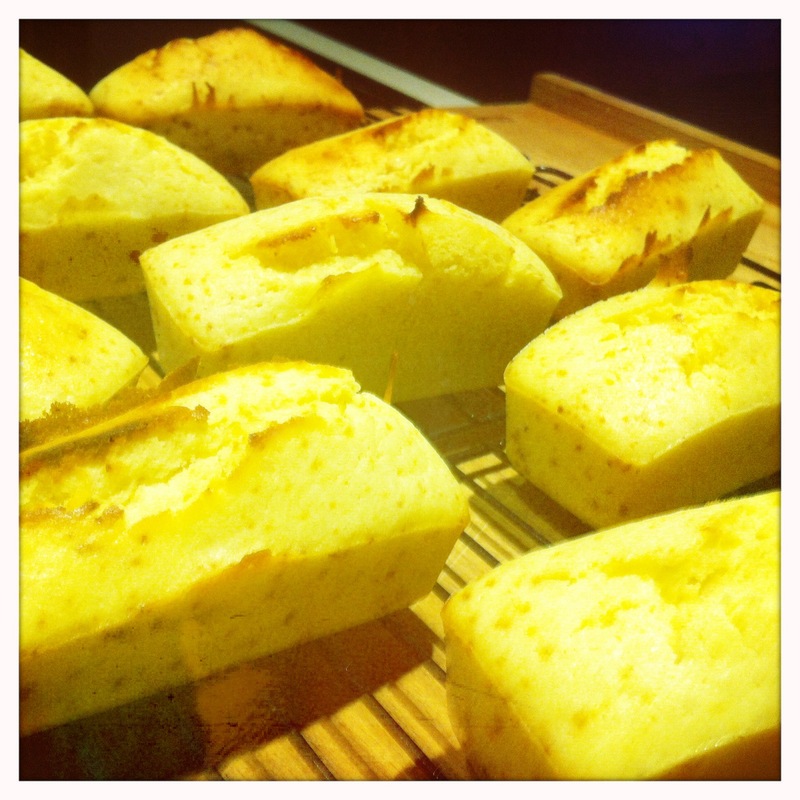 The corn bread looks nice and freezer friendly as well, and might all in all make good dinners ready to pop out of the freezer in lazy times. And although I still have some bad memory of a zucchini bread from last year, I decided I’d try something in that direction to make freezable small portions that I could take out for my lunch packages at work. I’m going to test the recipe from aMusingfoodie because it looks like it gets a good result both in small portions and bigger portions. I’m still very sceptical… but I’ll give it another try. The rest of the vegetables I’m going to keep for some fresh salad-in-a-jar next week. I tested it once and it worked quite well, I’ll just have to get some more inspiration to make different salads (had prepared 4 same salads… was a bit much at the end of the week) and then it should work out fine.